Mammograms and thoughts of cancer can send you spiraling down so fast that the truth and any sign of hope has no fighting chance. And for the last few weeks, that is where I have been – down. And I did not fight it. I just let it run its course. 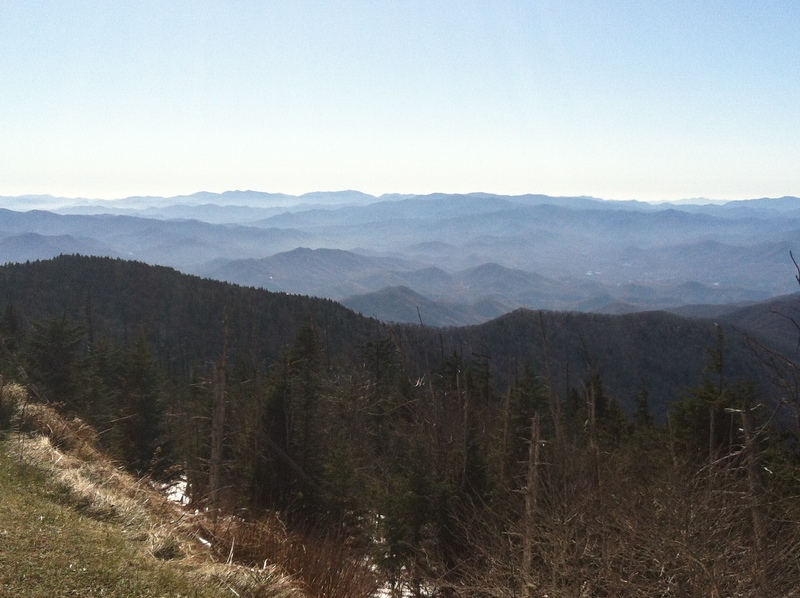 This past weekend my friend and I escaped reality and headed to the Smoky Mountains. God truly blessed us with perfect weather. It was 70, sunny, and gorgeous. 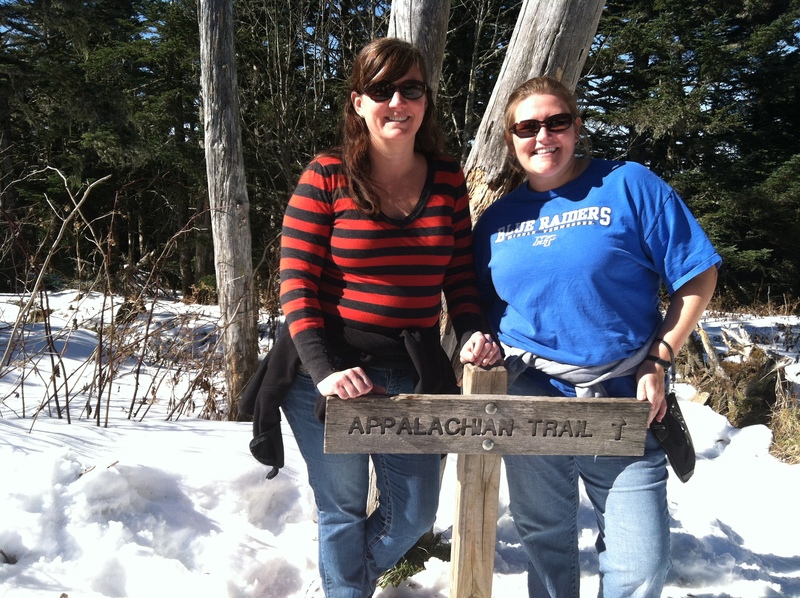 Sandy had previously dropped two feet of snow high up in the mountains so remnants remained. It made for the perfect backdrop. 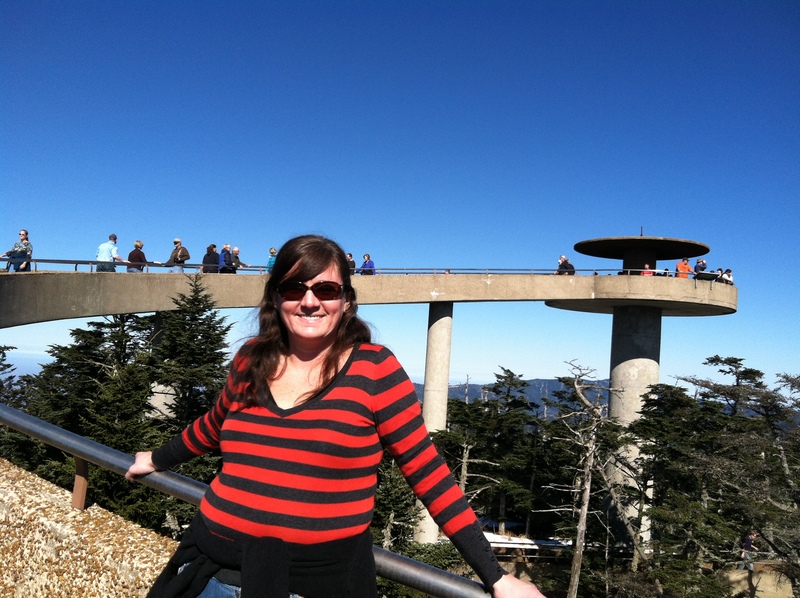 Our first stop was Clingman’s Dome. 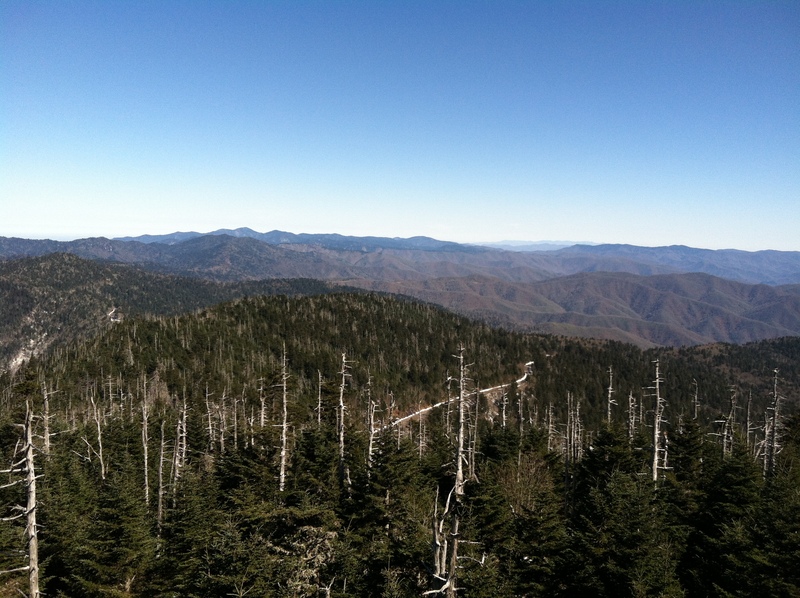 The highest point in TN at 6,643 feet. 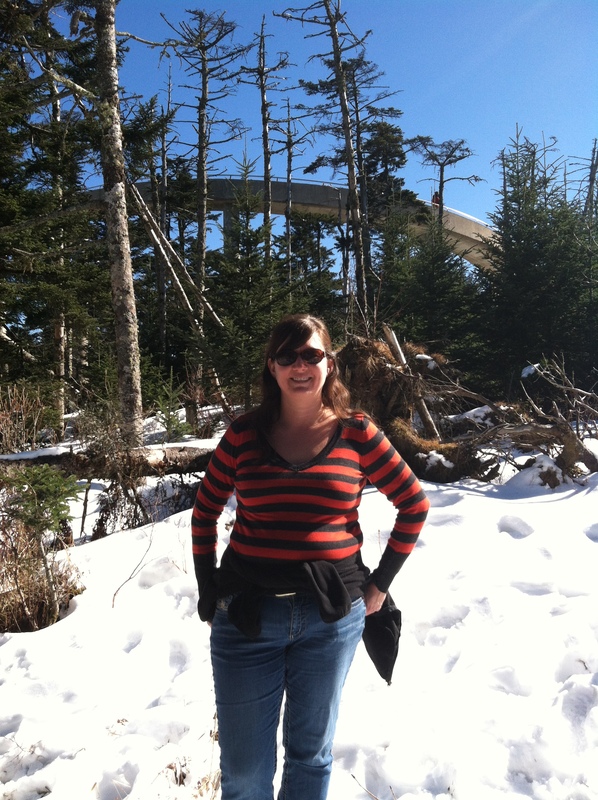 Clingman’s Dome was a place of refuge for the Cherokee Indians. During the Trail of Tears movement, the mountains offered a place of safety from pursuing soldiers. The great spirit also told them that if they lived in harmony and loved each other, the “magic lake” would make them well. 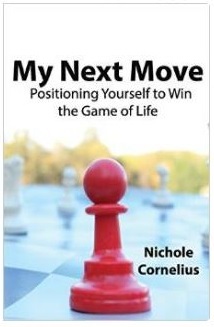 Although my beliefs and reasons may differ, I certainly understand needing a place to escape and find balance. 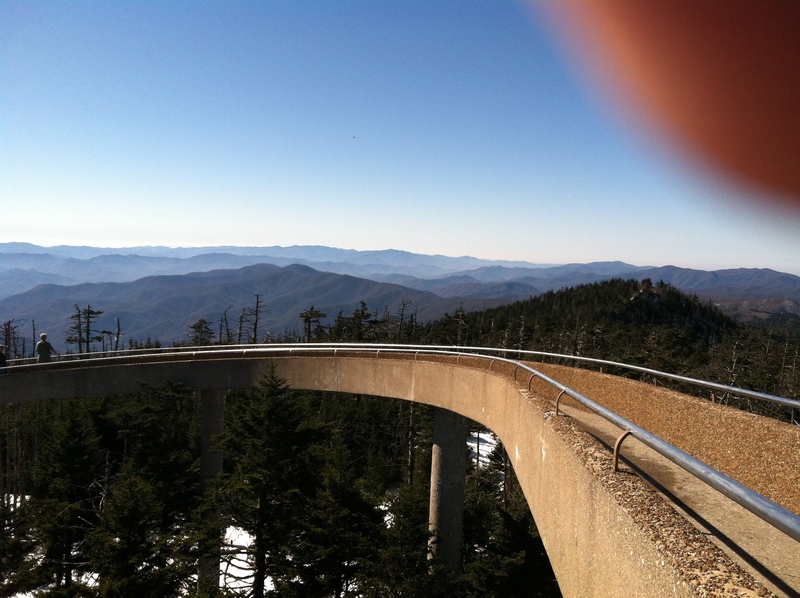 My friend and I made the 1/2 mile walk to the obervation deck. The views were stifling as it was hard to digest. 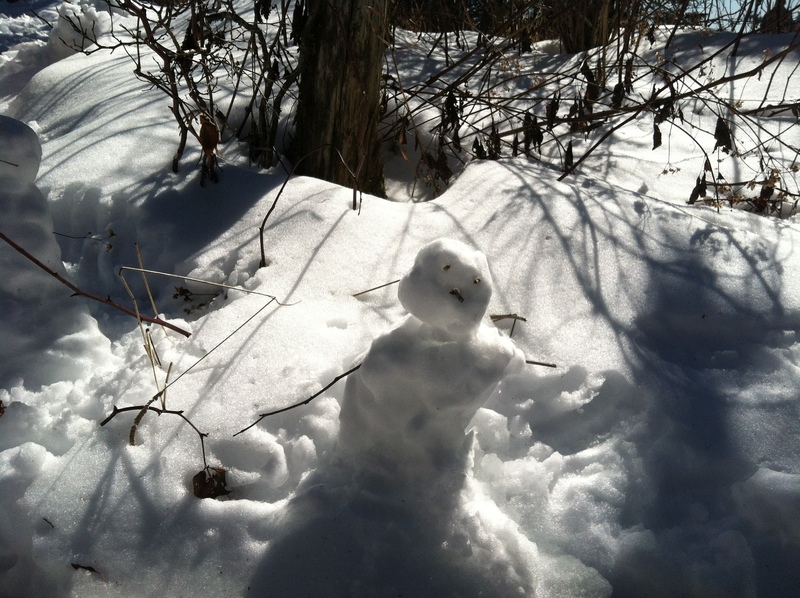 On our way down, we planted our feet on the Applachian Trail and made a mini snowman. 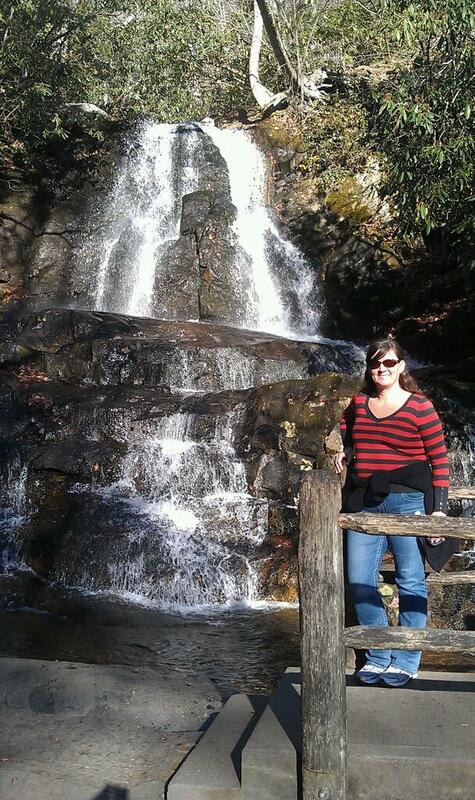 And we wrapped up the day with a 2.3 mile hike to Laurel Falls. For so many of us, we are heavily burdened with aspects of our daily lives, that I think we fail to realize that maybe all we need is a change of scenery. A chance to unplug and escape the woes of life, take in the crisp autumn air, and to feel the leaves crunching under our feet. Through that time, we find the balance and perspective that has been missing and we are ready to begin again. you, and the storms their energy, while cares will drop off like autumn leaves.